Combining the form-fitting ethos of our Anatomica collection with all-new ribbed styling of our corespun fabric, the Anatomica Rib Short Sleeve Crewe is equal parts style, comfort and performance. 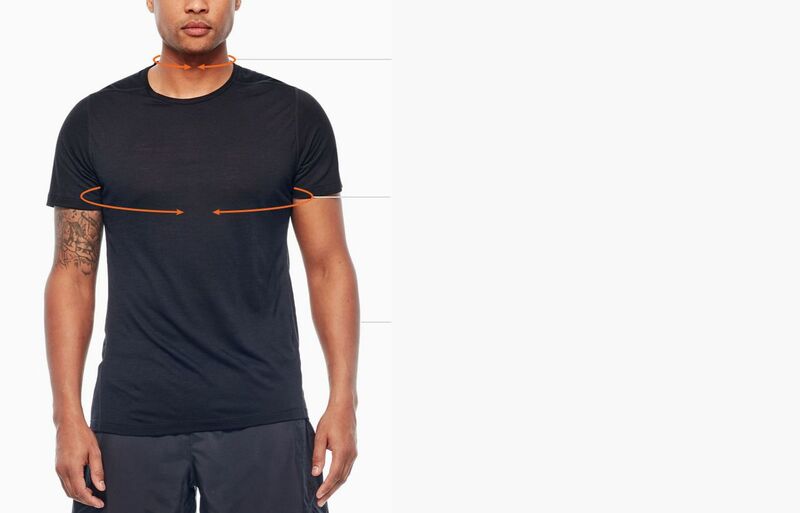 Ideal as an undershirt or worn alone on trail runs, hikes and extended travels, the Anatomica features our lightweight 180gm rib corespun fabric, which uses nylon fibers wrapped in soft, breathable merino wool for durability and strength that retains next-to-skin softness. We also included a touch of LYCRA® for active stretch, and flatlock seams to eliminate chafing when you’re on the go.